This week 15 honorees were named for a first-ever Kareem Abdul-Jabbar Award watch list. The award, which will be given in April to the player named as the nation’s most outstanding center, is one of four companion honors being introduced this year by the Naismith Hall of Fame — one for each position on the floor other than point guard (which already has the Cousy Award). Dominant big men became markedly less dominant with the introduction of the three-point shot, but in their arc-less day they could perform feats we can’t even begin to wrap our 2015 heads around. Take the guy this new award’s named after…. 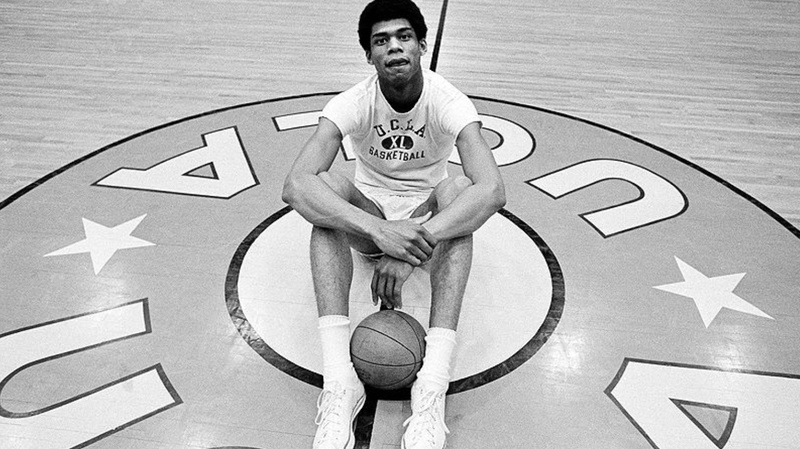 In the first game ever played at the then brand new Pauley Pavilion, the award’s namesake led his UCLA freshman team against a Bruin varsity squad that was the defending national champion and ranked No. 1 in the nation in the preseason. The freshmen won 75-60. Their center recorded a 31-21 double-double with seven blocks. Do good wins matter when they’re all you have? NC State’s about to test that theory. In calendar 2015 Mark Gottfried’s men are just 5-7, and in fact if you toss out the Wolfpack’s all-Raleigh November you’re looking at a team that’s gone 9-11 in 2014-15. Yes, but among those nine wins are victories over Duke in Raleigh and against Louisville on the road. Maybe that plus treading some water from here to the tournament will be enough to get NC State a bid. (At the moment they appear to be right on the edge.) Will that mean a gross selection injustice will have transpired? Hardly. In fact compared to last year’s tournament team, these guys are practically Kentucky 2012. As these numbers would suggest, the defense has improved significantly in Raleigh this season and is now more or less equivalent to the ACC average. In particular the BeeJay Anya-Kyle Washington duo has proven fairly effective as an opponent 2-point deterrent in the paint. This year at a minimum the scoff will be a little less assured — this is a better team even though the seed may look similar to 2014’s. You may have Iowa State pigeonholed in your hoops consciousness as a high-scoring group that plays diffident defense. I won’t stand for such breezy caricatures, and by that I mean on paper your breezy caricature actually looks pretty good. Still, there’s a question posed by Fred Hoiberg’s tenure in Ames. What in the world happened to the perimeter defense before the start of last season? 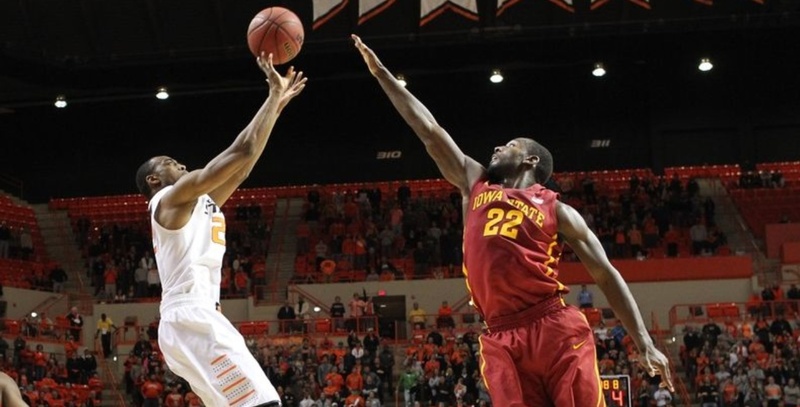 For a second consecutive season Big 12 teams are making close to 37 percent of their threes against ISU. It’s like Hoiberg has never had normal luck where perimeter D is concerned. In 2012 and 2013, the Cyclones benefited as opponents missed an unusual number of outside shots. That those chickens would come home to roost eventually is not surprising. But this is one robust correction. Jameel McKay, Dustin Hogue, Georges Niang, and Abdel Nader do a fair job forcing misses in the paint, and those guys collectively are better than fair when it comes to pulling down those rebounds. If opponents ever start missing threes, you may be surprised how good this bunch of shooters can be on defense. For years the very name St. John’s has been synonymous with two-point jumpers in hoops circles, and that’s not a good thing. The consensus on two-point jumpers is that they are to be shunned. Shot charts — personal or, better yet, team-wide — with big empty white spaces in between the arc and the tin are the sine qua non of analytic affection in 2015. Or so we thought. Actually I still think that, but I have to concede that the Johnnies are posing a stern challenge to the orthodoxy. The numbers above look pretty nice, and the current reality’s even more impressive. These guys are playing the best offense of any Big East team right now. If St. John’s is unrepentant in its style, how can these guys be scoring so effectively? As you’d expect, part of the answer here has nothing whatever to do with two-point jumpers. SJU is making more shots from beyond the arc (a combination of improved accuracy and a big leap in sheer attempts) and also taking better care of the ball than what we saw from these guys last season. Still, if two-point jumpers are the kiss of death the Johnnies have a funny way of showing it. Featured scorer D’Angelo Harrison’s actually devoting slightly more of his attempts to such shots than he did last season, but it hasn’t mattered because he’s improved his accuracy on those jumpers by 10 percentage points. You have my attention, Steve Lavin. Let’s see what you can do on the road against Georgetown. Now the bad news. All this very intriguing experimentation on offense is occurring at the same time as a bit of a defensive collapse. In particular this team is vulnerable to any opponent that will press the issue on SJU’s defensive glass. Is Wisconsin too slow-paced to pull away and protect its leads? 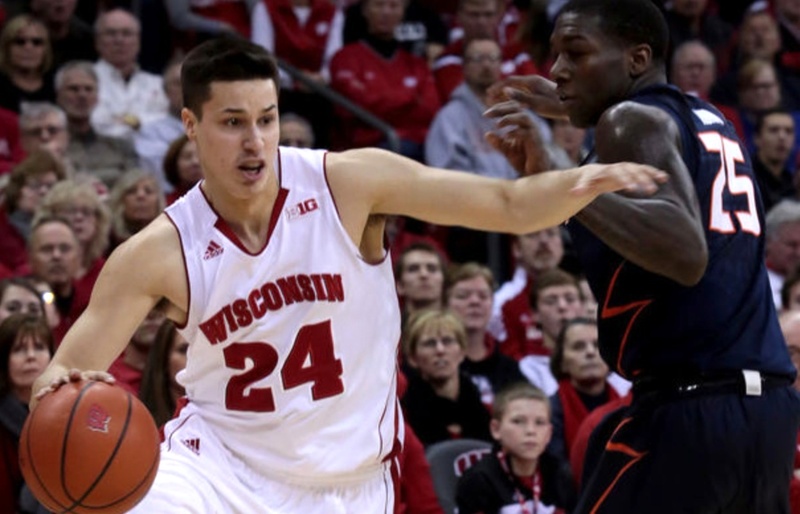 Can Wisconsin protect its leads when it plays at such a slow pace? It’s a question you’ll hear from announcers doing Badger games next month, and it’s a fair one. As a matter of pure mathematical fatalism, fewer possessions does indeed mean smaller point disparities between teams. Therefore a dominant slow-paced team — a la Bo Ryan’s men or pre-Fickle-Finger-of-Fate Virginia — will always be an irresistible target of criticism on this front. If only you’d speed up, it is often said, you’d put more cushion in between you and your opponents. It’s true that if Wisconsin were a faster paced team the Badgers would create larger leads. This true statement, however, requires two further qualifications. First, the lead-expanding effects of acceleration are likely being somewhat overstated in the popular hoops imagination. It turns out “larger” is a relative term. 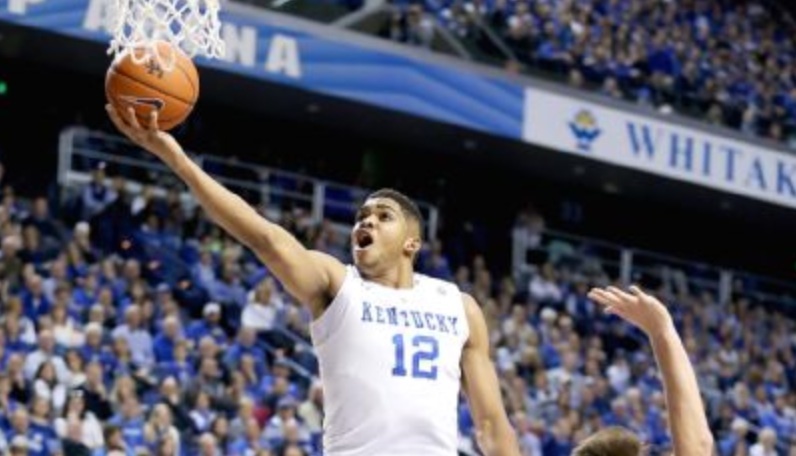 Since the introduction of the shot clock, college basketball has hosted an extraordinarily broad range of abilities within a relatively narrow band of tempos. (If we could teleport a college hoops fan here from 1982, he or she would think we’re all insane to be obsessing over the difference between 57 and 66 possessions. When there was no shot clock, pace appears to have been a rather more elastic property.) And it is in this context that Wisconsin will be urged to speed up, so its 14-point lead can become a 15- or 16-point bulge. Which brings us to our second qualifier. A 14-point margin of victory is surely nothing to sneeze at. I for one dream of those for my team…. Notice Kentucky on this list. UK ranks No. 13 in the 14-team SEC in pace, yet no one ever thinks to tell Calipari to speed up even though every added possession is worth a quarter of a point in cushion for the Wildcats. Simply put, a close game happens when both teams perform more or less to the same level. Pace plays a role but it’s a secondary or even peripheral factor, for Wisconsin or any other team. When Badger leads are in jeopardy it will be because the opponent has played just as well. It’s been three weeks now since Washington announced that Robert Upshaw had been dismissed from the team. The Huskies haven’t won a game since, posting an 0-6 record without the 6-11 shot-blocker. I tend to be fairly skeptical of claims that losing star X will have a devastating impact on his team — particularly if star X is in fact a low-efficiency guard. Yet even a skeptic has to admit that in this case the before and after numbers are incredible. Granted, Washington lost not only Upshaw but also 6-10 sophomore Jernard Jarreau (who underwent knee surgery in mid-January). Still, Upshaw had the nation’s No. 1 block percentage when he left the Huskies. Under the circumstances it’s fair to call this present moment the No-Upshaw scenario. Conference opponents are converting a rather incredible 57 percent of their twos against the Huskies without Upshaw in the lineup, a number that’s almost 14 percentage points higher than it was in Pac-12 play when Lorenzo Romar’s team was at full-strength. And it seems that word did get out within league circles that U-Dub is rather weak in the paint. The percentage of opponent shot attempts that are launched from beyond the arc has plummeted in the last three weeks. Washington’s rivals are feasting on this depleted interior. The left coast is a cold place bereft of mercy. Give this man Wooden Award consideration. The first time that Karl-Anthony Towns played more than 25 minutes in a game was against Texas A&M in early January, and the only reason it happened then was because the contest was decided in double-overtime. It’s fair to say that it was this scarcity in minutes that cost Towns the opportunity to make an early case that he’s one of the best players in the country. And now that he’s getting more playing time, those perceptions and POY short lists have already solidified. Well, as we approach March it’s time to modify those perceptions and add Towns to your short lists. He’s having an outstanding season. Using the fantastically helpful individual stats from conference play that Ken Pomeroy provides as part of his expanded player pages, we can see what Towns is up to right now. It turns out his numbers match up quite well with what other illustrious bigs are doing in the present tense. Scanning these numbers you can make airtight cases for all of these future pros. Okafor and Kaminsky are simply highly effective monsters of volume, and Cauley-Stein has one of the most impressive boasts to make of any college player over the last five years — in SEC play he leads this historically loaded UK frontcourt rotation in minutes. I’m not arguing against any of these other guys, but I am lobbying for Towns to be included alongside them. He’s far and away the best rim protector of this group, he draws fouls at nearly as high a rate as Okafor, and he shoots a beat-this-Kaminsky 80 percent at the line. If he were in a normal rotation he’d be an automatic inclusion on all the short lists for the major POY awards. I touched on this at Insider on Sunday: Temple has been playing excellent defense for the last 30 days. During the Owls’ seven-game win streak opponents have made just 41 percent of their twos, and the turnover margin that Fran Dunphy has enjoyed over that span has been truly ridiculous. True, these stats were recorded with generous assistance from the schedule maker, who dished up mouth-watering portions of opponents from the league’s lower half. That’s my point. It will be fun to see what Temple can do on the road against the best team in the conference. Speaking of schedule-based reservations, even during this win streak the Owls haven’t been poetry in motion on offense. Good thing for Dunphy no player in American play’s been better at drawing fouls than Will Cummings. Temple’s senior is also the answer to a trivia question. Next time you’re asked, “Who’s the best player in the American not named ‘Ryan Boatright’ who does not play for SMU?” remember the name. And tune in Thursday. Davidson is currently inhabiting some “next four out” lists alongside fellow hopefuls like Wyoming, Pittsburgh, and BYU. I want this case decided strictly on the merits — and it will be — and if those merits allow the Wildcats to go dancing you should be very enthused. This team is highly entertaining to watch. As indicated by the numbers arrayed skillfully above, no other A-10 team is even in the same zip code as Bob McKillop’s group in terms of scoring points. Dayton actually shoots significantly better than these guys from the field, but Davidson is Bo Ryan-ing the Flyers something fierce. Yes, I want “Bo Ryan” to be a verb. In this case the verb fits perfectly. In A-10 play even the highly-perimeter-oriented Wildcats have been way better than Dayton on the offensive glass (I really hope we’re not losing a bright young lad like Archie Miller to the dreaded Offensive Rebound Aversion Disease), and with ball handlers like Tyler Kalinoski and Brian Sullivan the turnover rate stays almost Madison-low. McKillop’s guys would add threes and efficiency in abundance to the field of 68. I’ll keep you posted. I realize Ron Baker and Fred VanVleet entered the season with a hammerlock on the nation’s available adulation for any plucky efficiency wonders that might emerge from the Missouri Valley. I’m not arguing against those guys — they’re both having excellent seasons — I just want Tuttle to receive that same kind of treatment. Certainly if you want an assist you’re going to place a call to VanVleet, and if it’s borderline-unreal turnover-avoidance that’s your thing then Ron Baker is your man. But look at Tuttle. He’s actually shooting a better percentage on his twos in the Missouri Valley than Jahlil Okafor’s recording on his in the ACC — and Tuttle’s doing it as an assist-spraying wing who’s deadly from the perimeter. I put it to you a season like this one merits recognition. A couple weeks ago I introduced Tuesday Truths standings for the Mountain West that have been scrubbed of any games involving San Jose State. In other words it’s as if the Spartans were never born. And since I came up with my idea Mr. Gower went to prison for poisoning that kid, Uncle Billy’s in the asylum, and for some reason Mary’s eyesight has been adversely influenced by the fact that she’s single. She now wears glasses. San Diego State appears to be reclaiming its rightful spot as the San Diego State in this league. Winston Shepard’s prominence within the Aztec offense has only increased in conference play, and on paper that might not seem like entirely good news for Steve Fisher. Nevertheless, Shepard has connected on 17 of his last 28 twos. 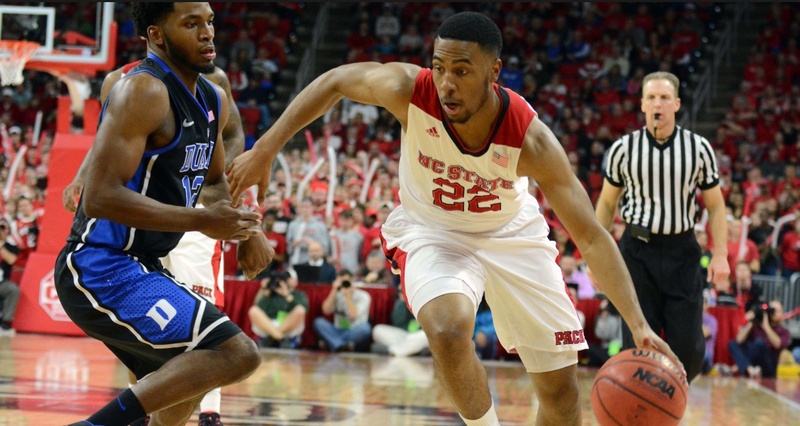 An effective scorer plus your usual SDSU defense is a really tough combination to beat. Two years ago Gonzaga sailed through the WCC season undefeated and grabbed a No. 1 seed in the NCAA tournament, only to be sent home in the round of 32 by Wichita State. How does this season’s team compare to that group of Bulldogs? Man, Mark Few really dials in the pace and stays right there, doesn’t he? And the similarities between the two teams extend beyond tempo. This current group is superior on the defensive glass, but past that it’s really tough to find any significant differences. If there’s an added element of trepidation for opponents this season it might be this: Kevin Pangos is having easily the best year of his career, and he entered his senior season having already established a pretty weighty reputation. Together he and Kyle Wiltjer have attempted 129 threes in West Coast play, and in those games the duo’s shooting 49 percent from beyond the arc. This team appears to be the equal of the 2013 Zags, and that’s saying something. This entry was posted in counting things, hoops, tuesday truths on February 17, 2015 by johngasaway.